In Mingo County, WV Jessie Gravely, 57, and his son Joe Gravely Jr. are facing multiple charges after a citizen reported suspicious activity. 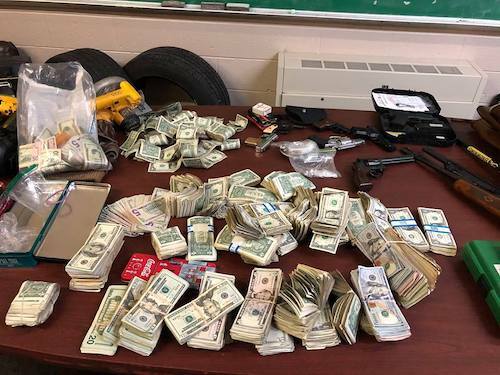 Mingo County deputies upon arrival to a home in Gilbert, found multiple firearms, oxymorphone pills and $61,000 in cash. 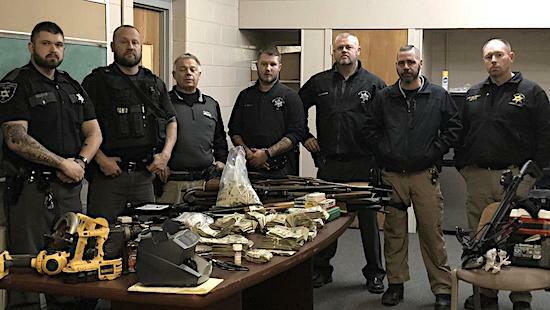 The Mingo County authorities seized the drugs and money and charged the suspects with possession of drugs with intent to deliver, firearm charges and conspiracy, from a criminal complaint filed in Mingo County Magistrate Court.